Getting rid of a tree can be a hard decision, but sometimes it’s the only option. 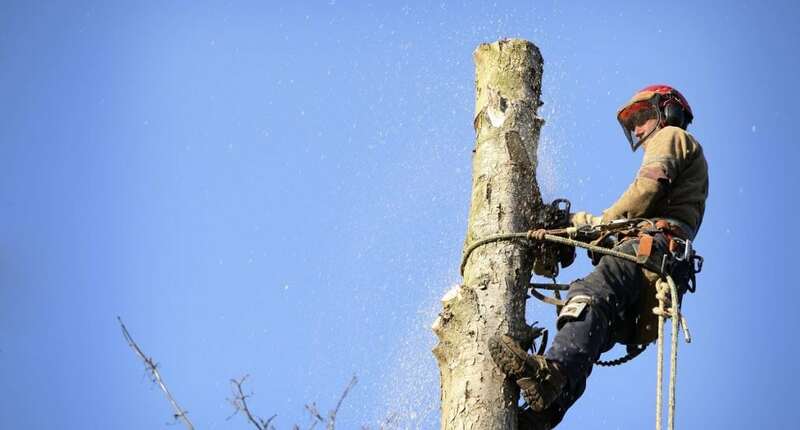 We generally recommend total tree removal as a last resort – our usual approach is to try to save the tree, but in some cases there’s no other choice. DOES YOUR TREE GUILTY OF ANY OF THE FOLLOWING? IF SO, THEN YOU SHOULD CALL AFFORDABLE TREE SERVICE FOR HELP. When we remove a tree, we make sure everything is done right first time, with the right safety practices, the right equipment, and the right process. As a professionally qualified and fully insured arboriculture company, Affordable Tree Service takes no shortcuts. When you choose us, you can rest assured that you’re getting the highest level of service and care, from start to finish. Before we begin, we’ll remind you to check whether the lucky tree is protected under council regulations. Unfortunately we can’t do this for you, but we will be here to consult and offer advice on the process if you need it. We’ll survey the area and formulate a plan of attack. Not all trees can be felled the same way – some can be cut down in one go, but others require a section-by-section approach. Once we know exactly how we’ll approach things, we’ll brief our team and get started. TREE REMOVAL – SAFETY FIRST! Our skilled team of qualified climbers and arborists will get to work. We always put safety first; our safety, your safety, and your property’s safety. Once the tree has been felled, we’ll clean everything up. If you’d like to keep any mulch or firewood, let us know – it’s free! We will also grind the stump down upon request. Please see our Stump Grinding page for more information.